And then there is everything else. I have been collecting denim inspirations for along time and this series has reflected the many different categories. Look through the collection by clicking on the links at the end of this post. But some items are unique unto themselves so I have grouped them into the hodge podge category. 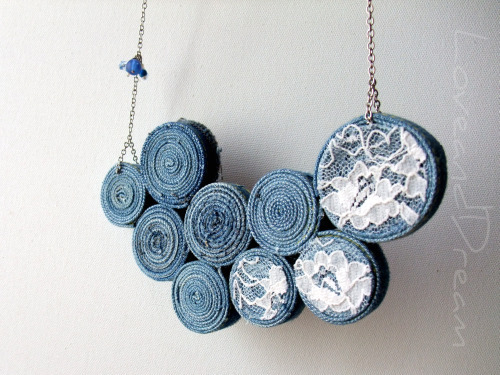 First in that very illustrious grouping is denim jewelry, specifically the work by Love and Dream. Using jeans seams and a little lace Mine Kurtulmus crafted this bib necklace. 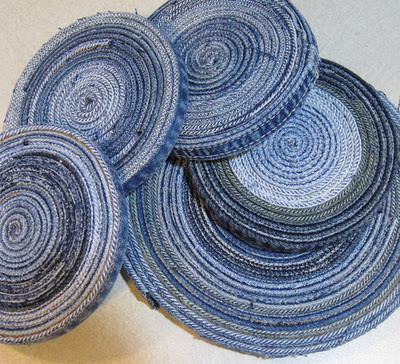 A more functional less glamorous use for those thick jeans seams is coasters. - Lots of options on Etsy. Wonderful gradations. 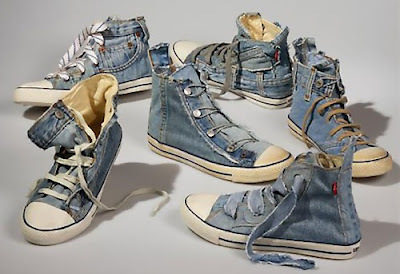 I would love a pair or two of these high tops made by Levis from - recycled Levis! They are from their Red Tab collection back in 2009. Guess that makes it vintage now! Every fad gets made into a clock or lampshade. Hey, I didn't google "denim clocks". Yup, they exist! 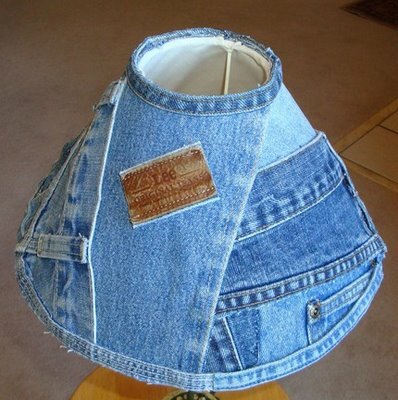 Here is the blue jean lamp shade. I so would have liked one or two of these in my bedroom back in high school. And if not a clock then make a Christmas ornament out of it! 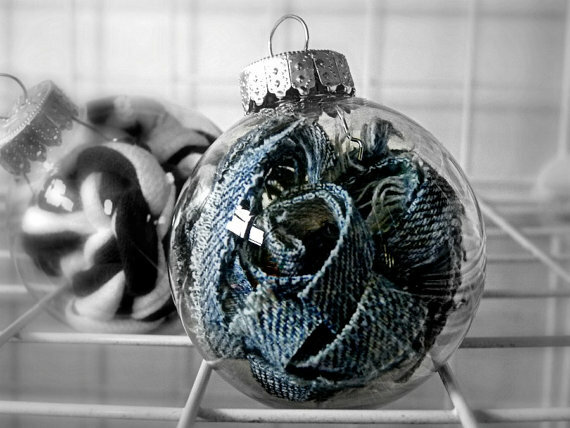 If this is the first of my posts you've stumbled upon you should know it is part of a series on denim. Below are links to seven previous posts that also are part of this series and have many more ideas.